The reality of Fibromyalgia is not only that people don’t know much about it unless they have it, but there are many who don’t even believe the condition is real. Imagine your body is on fire. Imagine every time you take a step, it feels like the ground beneath you is littered with Legos. LEGOS people! Imagine if the mere act of walking from your car to your desk caused such exhaustion, you could sleep for a day. Sounds pretty terrible, right? Now add in that there’s no way to prove what you are feeling is real. Every single test has come back negative. (And you’ve taken hundreds of tests.) Imagine that amid the fatigue, chronic pain and hypersensitivity, as you try to convince yourself to press on, you overhear people talking about how they are “over your Fibro” and how much you complain about your pain. Imagine hearing that all of your suffering is something you made up in your head. Here are 25 Things People Without Fibromyalgia Should Know About People With Fibromyalgia. If you know someone with Fibro and want to understand them better,Are you a Fibro warrior? Share this post to spread awareness and understanding. 18. To you, car rides are joy rides. To me, they’re a painful roller coaster ride. 20. 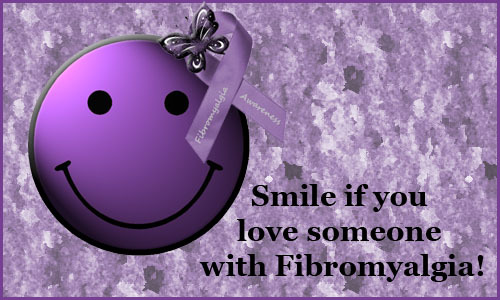 Some days it’s Ok to let my Fibro win, it reminds me that this is a marathon, not a sprint. Part of my mission is to bring the Fibromyalgia Survivor community together to offer real support and encouragement to one another. You can be part of this movement by sharing your story too. What do you want people to know most about how your Fibro affects you? Tell us in the conversation below. Disclaimer: I am not a doctor. All information presented should be regarded as friendly advice and opinions based on my own experience and research. I am not making an attempt to prescribe any medical treatment and the information contained in this blog is not intended to replace a one-on-one relationship with a doctor or qualified health practitioner.